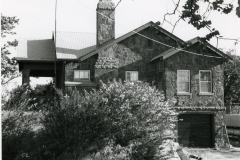 A single story, rectangular (33′ x 20′) bungalow, the caretaker’s cottage is constructed of untooled and uncoursed native sandstone. The quality of masonry is especially good. The composition shingle covered roof is gabled, with an intersecting gable extending over the front entryway as a porch and supported by pillars on a pedistal. A rock “rail” surrounds the porch. Sash wood windows are singly placed, and there are two front doors. An external chimney and a basement level garage add special flavor to the building. 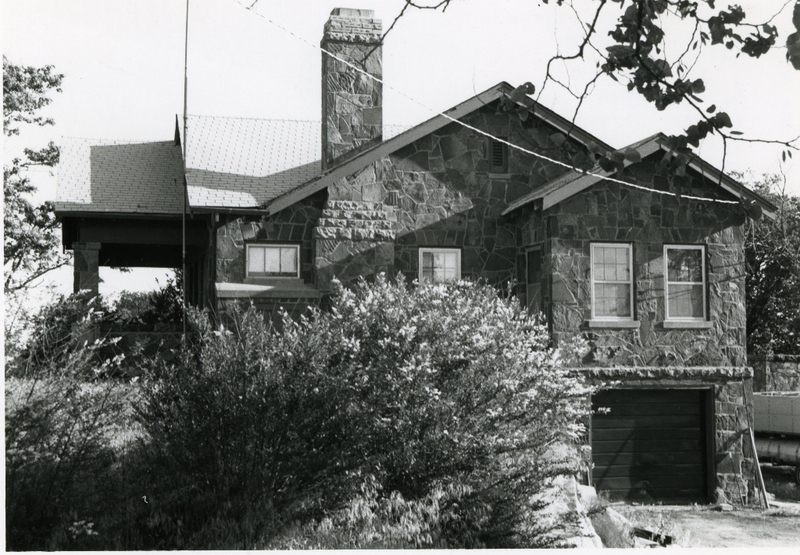 The caretaker cottage is significant in that it reflects the interest of the WPA in promoting outdoor recreational activities. 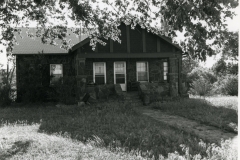 Within the Lake Holdenville area the cottage is architecturally important in terms of materials used and workmanship. It stands as a classic example of a general WPA style. It is also significant in that construction of it provided jobs to men who were on relief rolls and had no hope of employment in the private sector. VERBAL BOUNDARY DESCRIPTION: Follow state highway No. 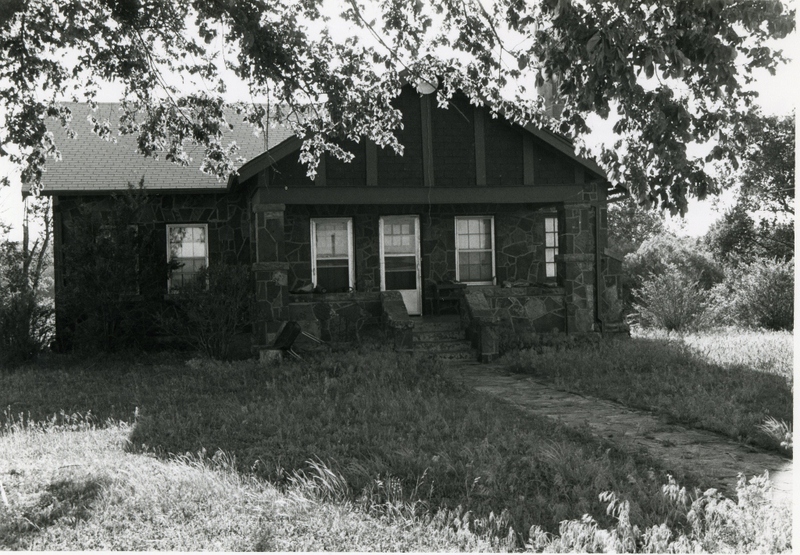 48 southeast of Holdenville some three and one-half miles to the lake, the caretaker’s cottage being situated on the west side of the road just north of the dam. The nominated property begins at a point 624 feet north of the SW corner of Sec. 32, T 7 N, R 9 E, and runs west 208 feet, north 208 feet, east 208 feet and south 208 feet.